Hookers Fly Shop and Guide Service. Your Smokies Fly Fishing Experience. 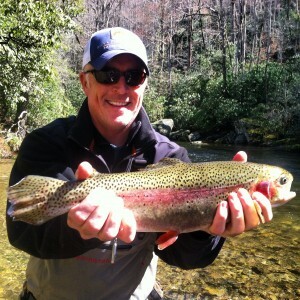 | Locally owned fly shop and guides serving western north carolina including the great smoky mountains national park. 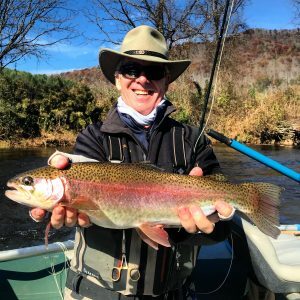 Guided Fly Fishing in North Carolina at its finest! 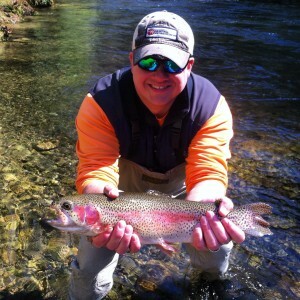 Let Hookers Fly Shop show you what fly fishing in Western North Carolina and East Tennessee is all about. 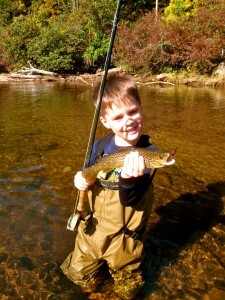 Our fly fishing trips are fun for all ages. 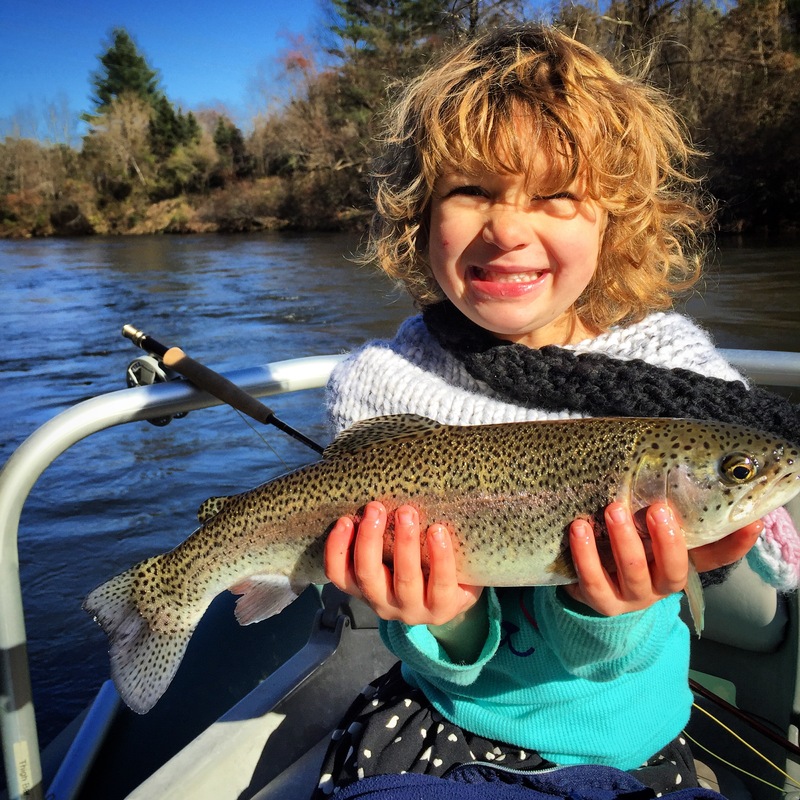 Here is five year old Stella with a beautiful Tuckasegee Rainbow on one of our float trips. Order Mop Flies, Squirmy Worms and many other hot patterns here. 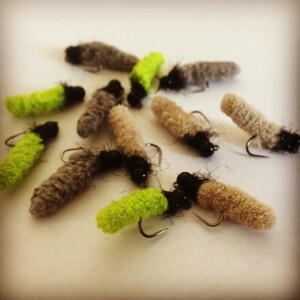 Mop Flies. Click the link above to order. 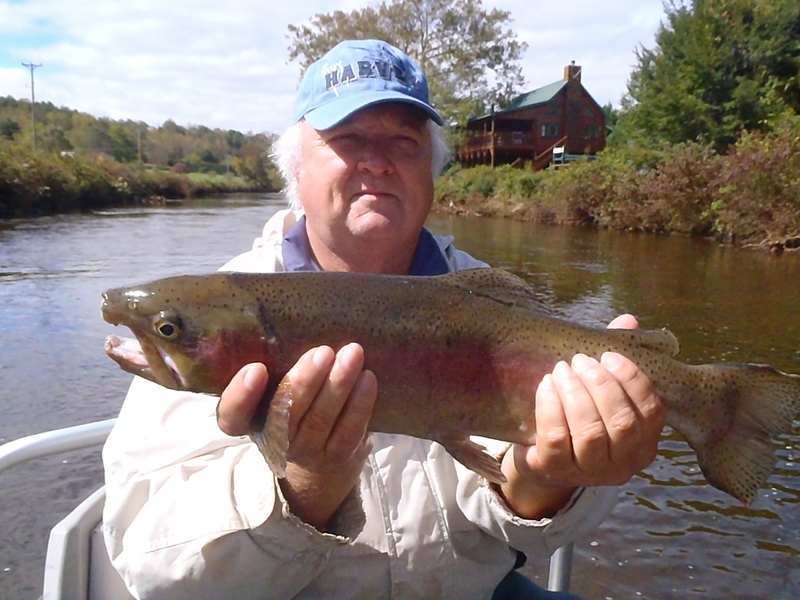 28″ Rainbow from Ravens Fork 2014. Hookers Fly Shop and Guide Service does it all. We offer guided fly fishing in or near Sylva, Cullowhee, Waynesville, Franklin, Cherokee, Whittier, Bryson City, Nantahala, Cashiers, Highlands, Maggie Valley, we are the premier guide service in Western North Carolina. We also offer guided fly fishing trips on the Tennessee side of the Great Smoky Mountains National Park. 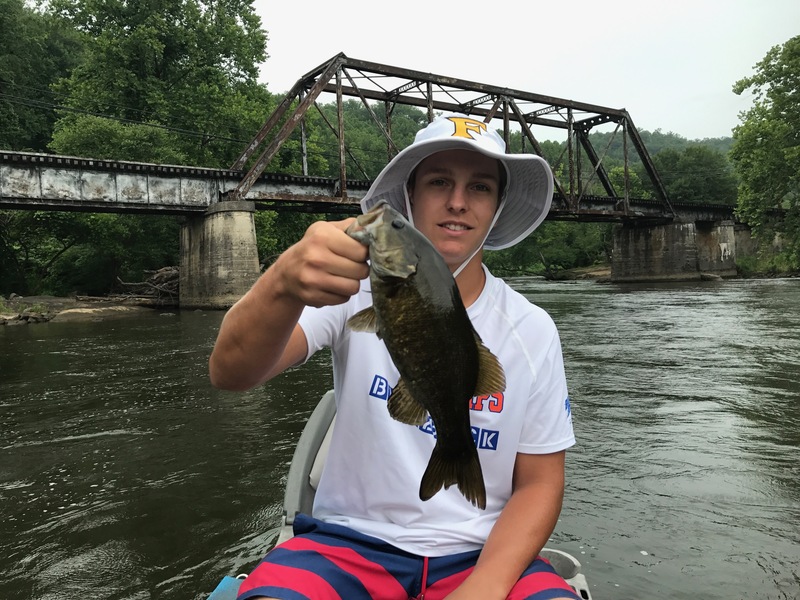 So if you are staying in Gatlinburg or Pigeon Forge, TN or another destination close by we will be glad to meet you and guide you to some of the most beautiful streams in the Great Smoky Mountains. Book a smallmouth wade or float trip. We offer both fly and spin gear. 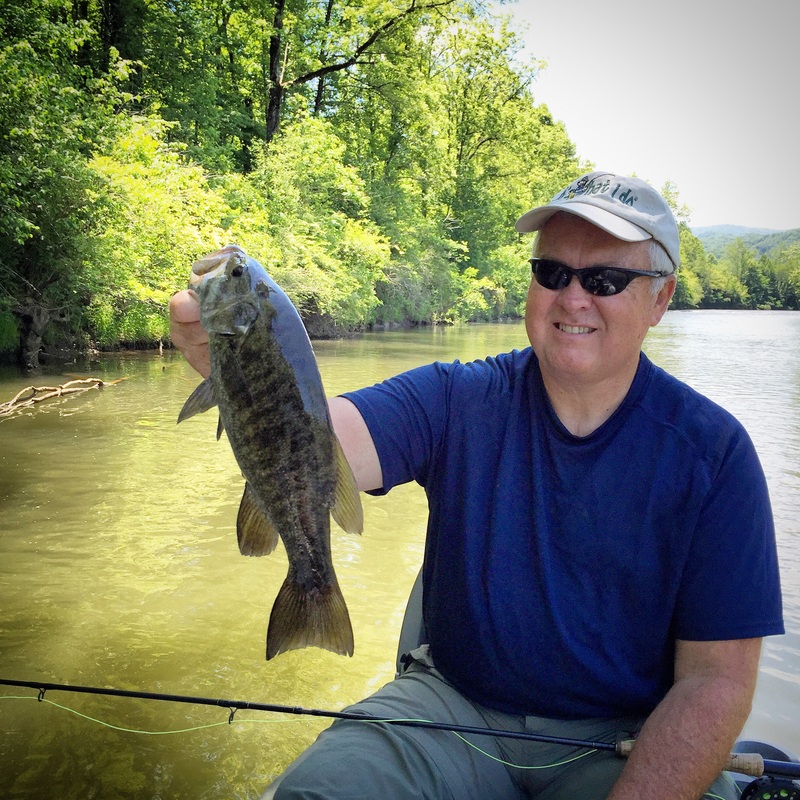 Call 828-587-HOOK to book or book through our online store. 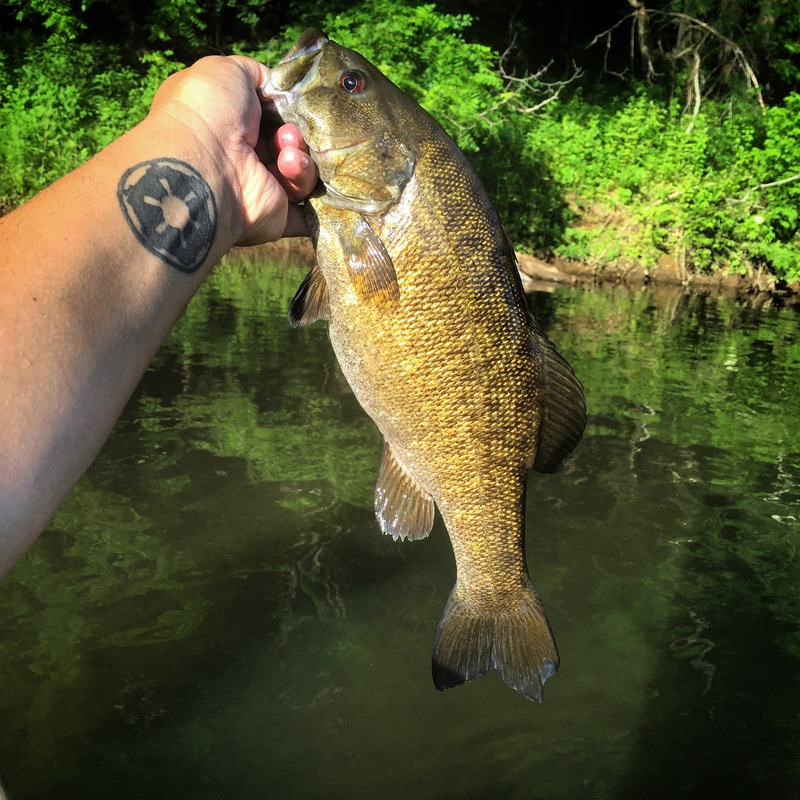 Fly Fishing for Smallmouth Bass in North Carolina. We offer both wade and float trips for these hard fighting fish. Book now 828-587-HOOK. You can read a great article featuring the Tuckasegee River (and of course us) in American Angler Magazine by clicking HERE! 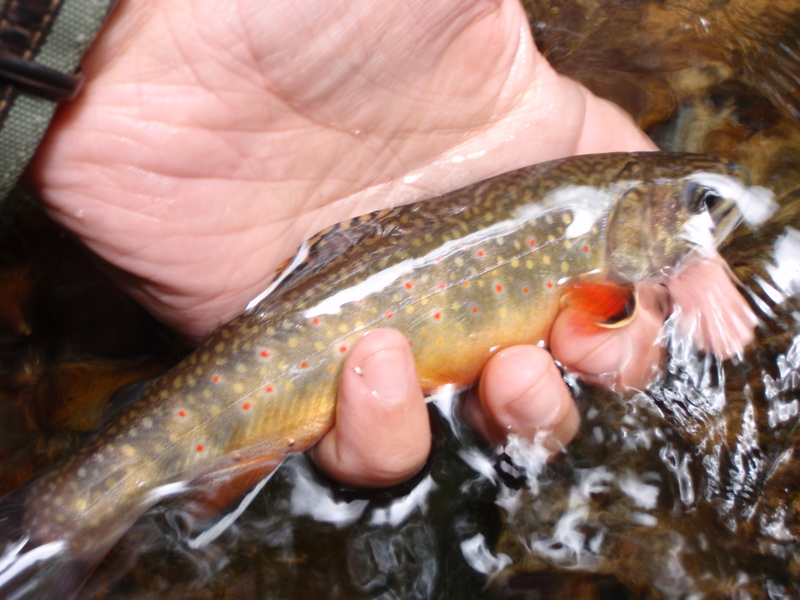 Stay informed on the latest hatches, stream and fishing reports by following our Fish Talk Blog. Fat Ravens Fork Rainbow Summer 2014. Want to book with us? Want to know what’s working? Call us anytime at 828-587-HOOK or email at hookersflyshop@yahoo.com. 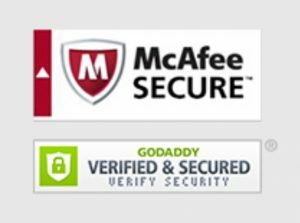 Please leave a good contact number as emails will occasionally get lost in spam filters. 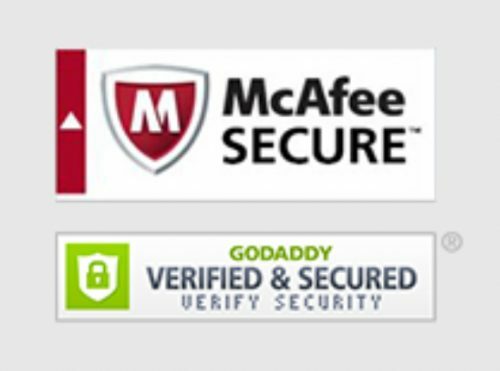 Hookers Fly Shop and Guide Service does not share your contact info with any third parties. Longtime client Scott B. with a beautiful Ravens Fork Rainbow. March 21st, 2015. Also, if you are a fan of our guide service or fly shop click this Facebook tab and like our fan page as well. You can also follow us on Twitter. 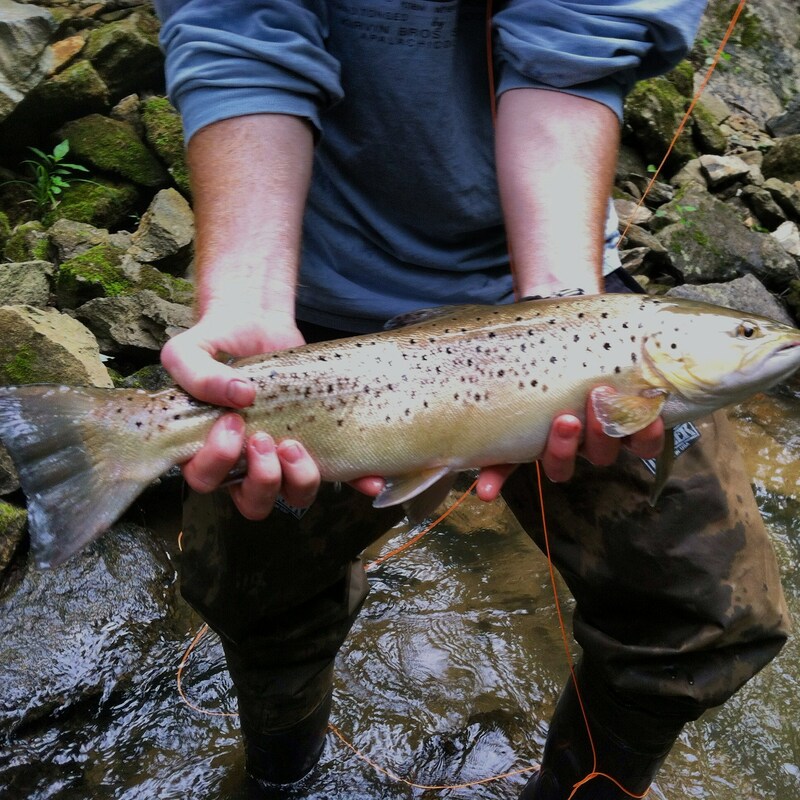 Click here to book your fly fishing adventure online. Nice Ravens Fork Rainbow. March 21st, 2015. Hours of operation: Shop Online 24/7 & Call anytime to book a trip. You can also book through our online store. 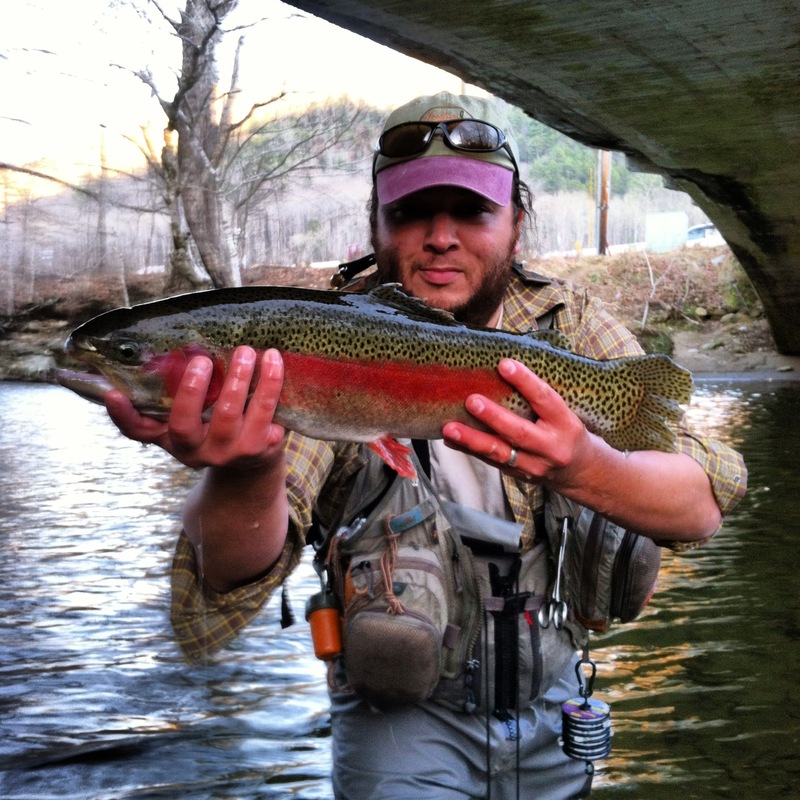 Hookers Fly Shop guide Jason Cole with a large Ravens Fork rainbow. Beautiful Great Smoky Mountains Brook Trout. Straight Fork with Hookers Fly Shop guide Jason Cole. Website © Hookers Fly Shop 2011 All content created managed by Hookers Fly Shop Inc.